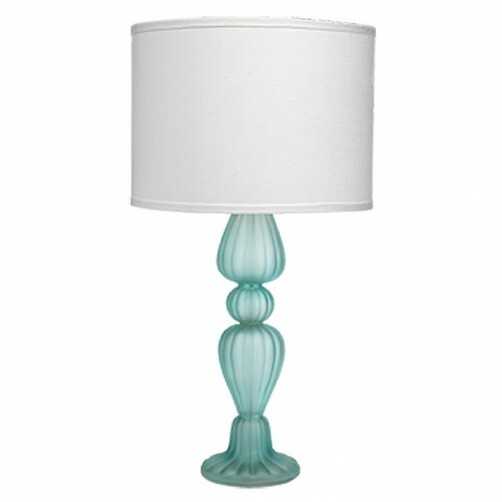 Luminous and graceful in light green sea glass, the round Deauville table lamp base has a gorgeous fluted silhouette with a delicate ribbed texture. With the Large White Linen Drum shade, this versatile light fixture pairs easily with a range of styles to create a custom look. Total: 18" Diameter x 37"H.
Base: 8.5" Diameter x 24"H.
Shade: 18" top Diameter/18" bottom Diameter x 13"H.